Lencrow introduces the new range of EP walkie stacker units, which comes standard with power steering abilities. The new power steering feature allows the EP walkie stackers suitable for all people to handle. 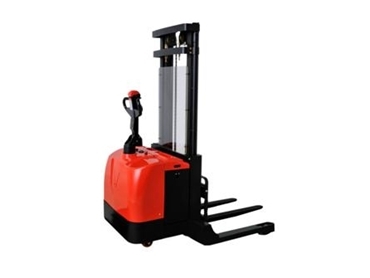 They offer lift heights of up to 5000mm, with 1400kg capacity, and are suitable for today’s warehouse requirements. The EP walkie stackers utilises AC operations to provide outstanding response and longer duty cycles from its 280 amp hour battery. “The new EP units are very easy to use with the wide view masts giving better vision and the power steering makes controlling the unit a breeze, they have all the things the unit suitable for all our stacker clients,” says Ross Grassick, General Manager of Lencrow. The EP walking stacker units with power steering are available from Lencrow. For more details contact Lencrow or visit their website.